So I have decided to stick with an HTC device or get an iPhone. Sorry no Blackberry unless I work for them as we have no reason for a BES server and to be tied down like that with a limited browser. RDP/Terminal services for emergency connections - This might be an issue for the iPhone. Any thoughts on this would be helpful. If there is a Nokia that makes sense let me know. Those who know me realize I can't remember switches which is why I keep the long list of them accessible. What was interesting to me is I found my 851 Notes client never updated the ODS on my local files, like PNAB for instance and well, it should but given my laptop gets enough rebuilds anything is possible. Decided to run compact against the directory and my data directory and bring everyone up to ODS 51. One should have CREATE_R85_DATABASES=1 in their notes.ini by now as well to ensure all future files are created with ODS 51. IBM shows a Technote for the Server ones which look like this but not in alphabetical order like below which you get when asking for help from compact. or databases (for directories). Recovers disk space in DB2. -G Copy-style compact the DB2 group name passed in as a parameter. Recovers disk space in DB2. -L Don't lock users out during compaction (for copy-style only). -N Disable 'Compress database design' database property. -n Enable 'Compress database design' database property. keep/convert back to R7 format). -R Revert one ODS based on the current ODS of the database. -U Enable 'Don't maintain unread marks' database property. -u Disable 'Don't maintain unread marks' database property. -V Disable 'Compress document data' database property. -v Enable 'Compress document data' database property. and is to be used with other switches. I was asked this by a good friend of mine the other night and like many, he figured Lotus is a dead product, he hadn't seen in 10 years(he's been the MS IT guy for 8 now so understandable) even though he knows I have been with it since 92. I rarely chide him about it, although I am usually the one he calls when he has issues with Exchange. About 10 years ago, I had a similar discussion with a good friend of mine...while I was working inside Lotus. The 2 of them share one thing in common, they are both private people and the idea of sharing personal information or business information, even among their own employees was/is foreign to them. I believe this trait is the primary one that defines a Lotus or a non-Lotus person. Most of my friends are not in IT or care about coding this or that so it's really lost on them in various ways. Email to them is email, via phone or Gmail or whatever they use. But Domino is so much more than email....but not to the people who don't use it. They don't care if it's java, AIR, FLEX or a Notes database as long as it works or is what they are supposed to use or told to use. I discuss the benefits of sitting in one client for everything, they say we can do that in a browser. OK, not the same but I get where they are coming from. What about personal productivity? Don't you want to keep certain information accessible? How do you do it? Spreadsheet? Postit note widget? Notepad text files? How does one track information for processes your office doesn't track? Like paper work or faxes, copies? these days probably scanning documents direct to one's email. I had clients that did this instead of sending the documents direct to a database or even a file server. Sharepoint perhaps makes the effort to tackle some of this and that is well and good but my friend's from above don't use Sharepoint. They like file servers. So why do I keep pushing Lotus? Because it works with so many things and one doesn't even need a server to really gain any benefit from it, a regular Notes client will do nicely. (Just backup your data more often, just in case you have to do this sometime. email, calendar, meetings, to dos, general notes when I am out of the office(via my phone), sales tracking, invoicing, quick configured mockup demo's that really work, backing up my contacts from my cellphone(via Lotus Notes Traveler), working at 10,000 feet, blogging, providing clients with live documentation that we can update at our leisure without bothering them at any time, school projects, time cards/billing times, directions to clients, historical information from the last 18 years or so of my business life and it keeps growing with me as time goes on. Oh and many of these applications are either on my phone or accessible via web on my phone to be fully useful. One doesn't have to recode their Outlook macros every time, translate their old access database or Excel spreadsheets to a new version just to use them, worry about the software dying with every new windows revision, trying to find a long gone 3 1/2 floppy to reinstall an app that got corrupted when the drive failed or needs to get reinstalled on the new Windows 7 machine, wonder if that Palm app will run on an iPhone. In short, I worry less about my technology because I am secure in knowing the Lotus brand and IBM have a long history and pedigree of working no matter the version, operating system or phone I choose to use and that makes my life and the lives of my clients one less headache we all have to think about. Call me complacent, old man or slow on the uptake. In this case I may not always be working on the bleeding edge of technology, although I do follow it. If that is what you want, the risk and reward is always there. After you have had enough forced upgrades, surprises, over budget meetings or delayed projects, come back and see what Lotus Notes and Domino can do for you and your organization. In some cases, paying you back for choosing it within 30 days. I wasn't kidding that Google Apps doesn't work! Here's the video I just did of trying to get some data stored in their spreadsheet online. Or the URL is here. Lotus Symphony, sure isn't office, but I've been using it since January with no issues. Free is good, imagine your budget gaining back all that licensing cash you been giving Microsoft every year. Go get it now. Happy to recant this if Google or anyone else explains how to do this at all. I realized my outburst on Twitter today was incorrect. Meant to say that Banks need to really be more accessible to their account holders. My other bank still lives in the 18th century and refuses to do anything over the phone. This post is about my local bank. Banks shy away from zip files, large attachments, emailing of signatures/files/documents, loaning money these days... but I had no idea they won't even give out phone numbers. Wanted to talk to my local Citibank branch person and not having their phone number with me figured I could call the branch and get connected. Didn't want to waste a 1/2 hour drive to find they were out today. Sure I should have their # on speed dial, but my phone is still synching. As it turns out the number listed is an automated number that never asks to connect you to your branch! Banking is a relationship or so we are told by the banks, yet when we need them....where are they? Would I read it? Maybe, depends on what they wrote but I'd like to know if there are new businesses in town or various suppliers or a million other business development efforts. If you want people to do business with you, you must be doing business the way they work as well. So my next bank will be a social media using bank, which MUST be local or provide check scanning for free and clear all local state checks in one day. Sounds like a Lotus Connections ad doesn't it? Or a business plan for a new bank. Either way, my money is walking to new places, one BP recommended Regions Bank any others you would recommend? Tags: Relationships? Why would the bank want it? Was looking at online video sites and One True Media suddenly popped up with a Lotus knows banner/ad. The campaign that is everywhere...finally. For just a brief moment, PlanetLotus leaped forward, or is it backward for Mitch's recent post. Just an interesting way to view time, usually the time since posted is listed where the negative number is. So minus 335 is in miliseconds perhaps? I had posted on Twitter about it, but as it devolved into so many issues, wanted to post it for others who experience it. To be very clear, there is nothing wrong with Traveler at all if you have installed and configured it properly. Really, it is hard to mess this up. But I did. One of the internal servers was upgraded to 8.5.1, but someone forgot to upgrade Traveler(EDITED: 12/3/2009you MUST stay in synch with versions or you will have these problems). They backed it all up but after all went well, deleted the backup. Too soon for my taste, I like to wait 1-4 weeks depending on server. Anyway, as I use Traveler and they use a Blackberry not surprised. So I said I would take care of it last night. Little did I know what I was in for. Now I always update Java before upgrading and knew this was not the problem. I wondered if the Java install was corrupted. Tried rebooting, nsd-kill for open threads. tried loading it manually, everything I could imagine. Nothing worked. 10/21/2009 03:36:23 PM Notes Traveler: WARNING CN=Keith Brooks/O=ourorg Lotus Notes Traveler cannot process documents with FORM of 'Appointment' Template name: StdR6Mail. And nearly fell off my chair. What kind of error is this and does this mean appointments haven't changed since R6? My template was 8.5 and now 8.5.1 although the original mail file creation was probably under R6, so perhaps a legacy error? This just got messier and messier. I started reading the device log and noticed the header, 8.5.0.1 was listed. That seemed odd, surely I didn't download the older version...or did I? I checked my local copy and sadly, yes, I had downloaded to the server the wrong version. Ugh. Downloaded correct version and miracle of miracles all is well again. EDITED 12/3/009: The part # to look for is CZ5SYML. Then my device is having problems synching the 4,000+ pnab to my old HTC Wizard device. At least I can get everything else in the mean time. Maybe Traveler should have an option to set how much of one's contacts to synch so it can get done without timing out on the server. So what to think about when loading Traveler? Read the info center of course for tweaks. Check Traveler did not over write your default page for your server, like your mail redirector or home page of the company website. Edit the individual html files for the various devices with the Version # of where we are so anybody downloading is sure to get the correct version. Posted an Ideajam about this here if you agree or disagree. The fun world we live in we know is not based on logic, reality or anything that makes sense. A few years ago Ed Brill did a session on "The Boss Loves Microsoft", maybe this needs to be revamped with the Lotus Knows campaign. So when I visited a few customers recently saying they are moving off Blackberries for iPhones I shrugged and figured I should probably replace my dying HTC with a 3GS. I like RIM, but business is business. Today met a customer, on R5, and the first thing I heard was the boss got an iPhone and wants 8.5.1 (Lotus Notes traveler, of course), how fast can we get it? Love these customers. Seriously they have other reasons to move to 8.5.1 but this has become a recurring discussion the last few weeks especially as what IBM has put inside 8.5.1 for iPhones. So not sure how everyone out there sees this but the idea that a Domino upgrade can be required because of a phone is just mind boggling. Or is this the new technology advantage? It's no longer about the better technology, it's only about the eye candy technology working for your business? And as last night's post showed me,a bunch of you at least are looking for new roles. Just maybe not in South Florida. On the plus side I have some resumes and if someone else was looking to hire a developer, let me know too. Not that I want to be a clearing house but if I can connect everybody, we all win. Domino.Doc projects are moving forward and Quickr discussions are getting some excellent cost savings into companies so the project costs are recouped within the 1st month! Companies may not need to hire people in the future, they may prefer to keep outside services, which means we as BPs should think about how we can help the community. We try to utilize remote people when possible, unless clients prefer onsite, because if you are happy at home, then everyone is happy, including your family. Websphere and J2EE development is coming, finally after all this time, to a customer near you and if I was retraining that is where I would go since Sametime, Connections among other products require it and your average organization isn't ready for the jump to it. Should have abstracted a Bird of a feather session on this but forgot. The best way to do this is the simplest so here it goes. There is a developer position open in South Florida(Miami mostly) not for us, we like remote developers, but for another organization. Presumably needs Web and Notes with Java knowledge but details will go out to the ones they have an interest in. Pay around 80K, permanent employee. Must be on site at clients so this is not a temp or fly in/fly out role. Any interest either post here, email me or send me a tweet for more details. Edited: They let me post their info. So go get the job....NOW! As some know I had some Google Wave invitations to give out, if they want to seed it, 8 is not enough. I gave them ALL out within seconds on Twitter. So why is everyone going crazy for it? Initially it was hard to tell because it did nothing. Contacts didn't work properly so you could only talk to yourself. Sort of like when you joined Twitter then stopped using it. Now after a few days, they got Contacts working and my 4,000 names I dumped in finally are showing people. Some discussion with Luis Suarez and we both got to see some interesting pieces. First if you saw the original video you know this, is synchronous dialog/chat. Meaning for the non-technical crowd, as I write something, you can see it and vice versa. A nice touch, but I would like it NOT to work this way in business as sometimes you don't want the other party to read your 1st impression. I imagine this is amusing on the dating circuit. Second, the browser window(I use FF) shows how many "waves" you have answers/comments on in the tab for the window so if you leave a window open on Wave all day you can easily see if you have new updates. First, without an offline mode, not sure how helpful this is. Granted on the US most people are online everywhere but outside the US this is not always the case, thus using it for business could be a problem. So I can leave a message but can't get it? Probably some way to trigger an email notification but this would be useful. Second, Where is everyone else? What else are they talking about? How does one find other waves to join in? Searching shows nothing. So unless I am invited or email someone there is nothing to do evidently. Not very enticing in this social world now is it? Probably some more things will come to me and I will edit this post accordingly. But I can't really explain it to you as it requires too much time. Installs in under 3 minutes. Save Diskspace (and money, backup time) by only storing one copy of an attachment, no matter how many people in your office you sent it to. There's a service for that built-in. Clusters up to 6 servers, no matter the OS or hardware or distance. But most importantly is quick and efficient to recover from OS crashes. There is of course a long list of what Domino, by itself, could do for you and your organization, before we even discuss applications you could benefit from. There are also 2 versions of the server, a mail only edition and the full everything edition. Not all items above are in the Mail only edition. Have more items in Domino itself for people to know about that they could use out of the box, just add your comments. Anyone print Lotus Knows Stamps yet? Personally I am in favor of personalized stamps and this is very nice to hear and cool too. Thanks to the NPF Newsletter. The UKs Royal Mail are to issue ten new stamps on 7th January 2010. Pink Floyd, Blur, The Clash and Led Zeppelin are among those to be featured. Albums in the collection include 'The Division Bell' by Pink Floyd, 'Parklife', 'London Calling', 'Led Zeppelin IV', 'Power, Corruption & Lies' by New Order, Primal Scream's 'Screamadelica', 'Let It Bleed' by The Rolling Stones, Coldplay's 'A Rush Of Blood To The Head', 'The Rise And Fall Of Ziggy Stardust And The Spiders From Mars' by David Bowie and Mike Oldfield's 'Tubular Bells'. Royal Mail are said to have assembled a shortlist of classic albums, though initially some were deemed unusable due to the darkness of the image. I was just reminded by an IBM technote in my inbox that there is no longer multiple dictionary files. In the IBM® Lotus Notes® 8.5.1 standard client: Notes®, embedded Lotus® Symphony™, and embedded Lotus Sametime® will all use same spell checking engine and same set of language dictionaries. Also, Notes and embedded Symphony will share one user dictionary by default. (supported for all platforms). So if a user defines a word in the Notes user dictionary or the embedded Symphony default user dictionary(standard.dic), that word will not be marked as misspelled in either Notes or embedded Symphony. Read some more tidbits here. Something else which is really nice to have is the ability to drag an email over to your sidebar and drop it on the data/time necessary. Amazing time savings and effort. Of course now I have to retrain people to use the Sidebar. The downside is they will ask why can't they drag and drop the email into the little calendar piece instead of the hourly line which is shown above in the picture below? And why can't they drag an opened email to it? It only works if the email is in the inbox. This is fine if used in preview mode but what about those who don't use it? Or worse don't know it exists? But it's here it works and so far saved me a ton of extra effort already. If you follow me and other Lotus people on twitter you would have caught some feedback on installation times. As I posted my servers get updated in under 5 minutes. Not so fast for clients. My laptop(haven't done the netbook yet) which runs Vista and has 3GB RAM took over 45 minutes or close to an hour to update. This with anti-virus and everything else turned off. Others online saw this as well and no matter 32 or 64 bit. In contrast my XP machines(of over 5 years of processing power from the earliest tot he newest) took no more than 20 minutes. Others online again saw this too. Still 15 minutes more than ANY install of ANY software that is NOT an Operating System should take, IMHO. Years ago we used to do some installs of other vendors products which would take 30-90 minutes but that was 486 processor power for you. What is the problem now? Did QA not test against Vista machines perhaps? In any event, for those who do client installs/upgrades (and hopefully we all are doing many over the next few weeks, months) this should help you gauge some time and billing in a practical way. InstallShieldTuner for Lotus Notes 8.5.1 - pwned. Look for document updates. A few changes, but I like em. Hopefully he will post an update on it before I sit down and do it again. However, IBM still does not certify Sametime to run under 8.5 or 8.5.1 so you are warned to run at your own risk. Both Peter and Denny pointed this out...But I have done it already. In fact the video of my previous post is our Sametime server, which was already running 8.5FP1 and getting updated to 8.5.1. Still rocking and rolling, next up are a bunch of client servers. Video of a real time server upgrade. No more excuses, it really is this easy. If there is one thing an administrator needs, it's remote access.... to just about anything. Some companies frown on this, but honestly, do you really want to wait for someone to get in a car, drive 40 miles to the office, just to enter a few commands on a Windows server at the OS level? So the early days we had PCAnywhere which was most common, but we used a bunch of things and then VNC and finally Microsoft RDP (Remote Desktop Protocol) and now gotomypc, logmein and tons of others. And how it makes life easier, except for one thing, and I have watched this at many companies be the case if no VPN exists or their Domino servers are on the outside of the firewall. One can RDP to any server set up for it in Windows. But, just as much as I can connect...so could a malicious user. If one knows the name of the server, one can start a dictionary attack or today's equivalent especially if no one limits the attempted logins. Windows has various ways to lock this down, Transport Layer Security (TLS) is suggested, but if not feasible, at least set the account lockout thresholds, account lockout duration, etc.. One can also narrowly define who has such access and from what IP address and well, this can go on forever as far as options go but let's presume you are an SMB and cheap too. One simple and free way is to change the RDP ports. Regular RDP runs on Port 3389. But you can change this number in your registry settings to any port number you wish. And you are done. Now do it for each server(either all port 3392 or each one unique. Yes, I know this can cause some problems, but if you create a logic to the numbers it can work for you. Why should you do this, even inside your own company or if you have a VPN? Because of this and scarily this as well. Your own people may try to hurt you, sadly, so be careful out there. In case you missed it, you can now attach a Vcard with your signature once you have upgraded your mail template to 8.5.1. Very nice and helpful, but if you want to include your IM or blog or website you will have to hack it a little bit. When you set up your signature there is now an icon to attach the Vcard. Personally I do not get many emails with the Vcard but always nice to share with people. A post from March 2008 continues to get hit on regularly. At the time it was my views comparing Outlook and Notes R8.0.1 and why I still prefer a Notes client. Now, 18 months later or so, with R8.5.1 coming out, and still no new Outlook versions in the interim, my thoughts have changed. No, I don't prefer Outlook, but the reasons for why I prefer Notes have increased. 1) Webmail - If you don't like the Notes client because it's too busy, then use the iNotes (was called Webmail or Domino Web Access as well) client which comes in 3 flavors to meet all needs. Full has everything and requires the most bandwidth, Lite is just the basics and uses minimal bandwidth, ISP mode for pure email people and UltraLite which is really for an iPhone user. From the people perspective, it provides options, from the admins perspective it reduces footprints(1 database for both notes client and web), diskspace (shares format from one place not multiple versions) and works across browsers, not just IE and FF, although mileage may vary depending on versions. 2) Mac and Linux fans rejoice - While not helping me per se, this is a huge thing to our clients, many of which are seriously looking at Macs, aside from the iPhone push. Notes clients that run on both these platforms just means more potential applications to be built. 3) Customization to the client have gradually expanded with each revision and in many cases can be controlled by the administrator so changes could be pushed out. The ability to change my interface the way I want it to look is priceless. The joy of client faces when I show them it really is drag and drop and they are bewildered why Microsoft never did this in Outlook. Lotus wants you to play/enjoy your time while working, Microsoft wants you to work then play. I'll take the Lotus way every time. 4) You are the designer again. Lotus has made the Designer client free for everyone. Now that budding designer inside you that wants an expense form or HR document database or workflow from your factory to your desk could be done...by you! Years ago we could all do this inside the Notes client and we loved it! But the design pieces moved to their own client and the new generation of employees can get cracking on their own applications. So don't say why do we do it this way, write the code, break the cycle, enjoy your work! 6) Sidebar applications - Widgets? Sure any can be imported and used. But there are also plugins from Linkedin, Tripit and even a Bookmark plugin to synch your online bookmarks down to your client. Also for new Notes people, an online learning plugin from IBM which is full of information. 7) Sametime is built-in to the client(has been since R5) and is built in to your licensing, again for free. Hard to imagine when I joined Lotus in 1998 I wondered what this would mean for the future, it meant reduced telephone costs, less email abuse, faster answers to questions and a truly flat planet. 8) Simpler licensing - NO CALs for this, that and 4 other things you never use. 2 licenses, messaging (email/calendar basics) and designer/enterprise which includes applications. We just saved one client a huge amount of money by reducing their licensing count from one type to the other. I could go on more, and other bloggers have, so I encourage you to read them as well. Start at planetlotus.org or www.lotusknows.com if this has whet your appetite. Have your own ideas IBM should think about to improve Notes even more? Post them at ideajam.net. 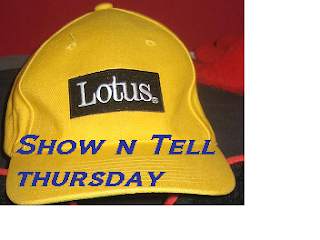 IBM wants to help you with what you need and the Lotus brand is there to help you attain it. Server has installed on it software which allows people to balance budgets, make presentations, design products, write documents and it's not on their PCs. And you made sure that everyone not only had the ability to use it, but had their own logins and space to store their data once created so everyone can share the files. Who am I describing? Google? Microsoft's new office in the sky? It actually is how we used to work in the early 90's. 123 ran on a file server, as did Approach, Wordperfect, Visio and many others, even Lotus Notes and some still run it this way. So 15-20 years later we have gone full circle. Funny thing happened on the way to the Cloud. We've been there and done that, and people hated it. Of course now we have more bandwidth. And why did we stop working the old way? Because PCs got stronger and could handle it all to be stored locally. Now we have excellent PCs which really just need to run a browser, the dumb terminal of this millennium. No I didn't mean just you, my S10e but all the netbooks. The upside this time is software in the Cloud should be faster, simpler, easier to work with hopefully than the PC versions. Either way, we may be moving forward, but in some ways we are moving backwards. Some bloggers have posted this, but since it came up today, wanted to share it again for those new to R8. Okay, maybe not fully drop the Launcher(My favorite part of the Home view), but if there is a view or a form you need to see/use all the time or even a few times a day, stick it in your sidebar. I admit being lazy about it as well, but it's here and you don't need 8.5.1 to do it. 1)Open a database, go to the view you use regularly. 2)Click on Tools from the menu bar. 4)It will bring up a popup with 2 options, pick Open a notes view, document or frameset. You now have easy access to a view or form and can open it up as a window if you need too as well. Just got off my twice a month call regarding deployments and we got into discussions which left me scratching my head a little. I admit to not always being up on the latest policy or piece of code in a version but something on the call I was told has been around since R5 and I was needless to say confused. So if this great piece of code has been available, where has it been hiding? Not saying IBM hasn't kept us informed but part of this sub group of design partners is to better understand the issues facing people when they upgrade to the latest clients. Evidently stumbled upon what I think we all meant but use different terminology. For years we liked to customize client installations per customer sites using the Install Shield Tuner(and it's various versions) and preconfigured items. It made life easy for everyone and only occasionally required tweaking. Usually as more options expanded into the Notes client, but even with these it was a fairly simple enough way, once you built the installer. Never used it? Read Andy Donaldson's blog post first. He really got it done simple enough to get you started or finished even. Then see his follow up with slides and an update on Sametime in the R8 client which can be blocked from being installed. You do need to know a little DOS as it helps for the batch file and commands needed to do some basic save/copy/delete etc. But how else can you do this? You ask? Copy the .exe file from IBM and just run it. This is way too manual and time consuming unless you need to do a one off install or for testing. You send the links out via an email and the files sitting on the file server someplace to do the installs. Doing this without a finely tuned package may cause network issues or delays. SmartUpgrade (and it's relative SU by Wizard)- Works, but requires babysitting as it does not work with FixPack/Hot Fixes only proper releases or so my recent calls have informed me and I them. (If anyone has a more detailed answer let me know and will edit this). Set it up and add the next point release or full update and the server automagically lets everyone know when they can update and gives them options of time or skipping if they are busy. Eclipse, Plugins, Widgets, Feeds, applications or databases and a slew of other pieces that may help your organization. There are also some tools out there, from Tivoli, Microsoft and other vendors as well as Lotus Business Partners that help push out changes and track them if you are so inclined. The Notes installation program does not support automatic Notes upgrade from single user to multi-user within the same release or from one release to another, although it is possible. To upgrade from single user to multi-user, see the Upgrading a Notes single user install to multi-user topic in this guide. Now it seemed, there are some other built in ways to accomplish these installs and upgrades, but I am thinking it all got lost in the terminology. Transform files, manifests, configuration file, batch files, update sites. Needless to say it all gets done, but requires one to sit down and WORK a little bit to get it right but you will be so much the happier afterward as will your support staff. Plus you will never have earned your keep more than when you create this magic. Hard to hold this one back, yet probably one of the most asked for items of the last few years and the Ideajam a few months back. IBM will be providing the Lotus Domino Designer client, version 8.5.1, FREE for downloading from the IBM Developerworks website. Students, programmers, non-profits and even fellow admins now can play to their hearts content with the new designer which aims to make applications, for Notes clients and the Web, a whole new experience. So what are you waiting for, go download it then follow Declan's excellent blog postings about building an Xpages application and have fun....again. As I just finished the 2nd of what are 3 out of 4 weekends without cell phones, the internet, TV, email, Facebook or Twitter for that matter due to holidays, an interesting discussion popped up. Why do we need technology? Or rather as it was stated, how do you live without it?! In all seriousness, I don't personally need it and only mildly want it and really could live without it, the technology side that is of phones, email et al. In fact I, as do many other people throughout the world, every week for 25 hours(18 of which I am awake usually) do without all these items, some even more so. And it is a great feeling. Although the message light on the office line is never a good thing to see come Saturday or in this case Sunday night. Business of course is different. Our business is technology and managing others infrastructures so certain items become a need for business. We all love new gadgets and toys or games or whatever excites you, but when it comes down to it, is it really what you need? No denying our lives have all been enriched by technology in various forms, from medicines to machinery to communications, not denying any of that is helpful and needed and always will be. But there are people who really can not live without "knowing" what is happening someplace, somewhere or every email or every Facebook entry. This can't be healthy...or can it? Does it produce more information to make better choices or better consulting to your clients? Does it help provide you ideas or dreams? The Social Networking/Media side of life has some people feeling left out or ignorant of situations because they do not have regular access or know how to use some of these tools or in other cases refuse to be part of this culture change. Some friends refuse to join Facebook, yet ask me what happens all the time in our community. I tell them to ask someone else, I don't really go into Facebook. My Facebook is 85% automated or uses bots to update reply to various things. Now one of these peers works in IT has the latest HTC phone and yet no time for Facebook but can stay up all night watching TV, to each their own is all I could tell him. If we can have someone listen to a conference call for us and give us the notes from it, is it like we were there? Executive summaries of executive summaries? Do we need to be on every phone call or do we want to? While I agree if one doesn't hear it, one may not see it and thus miss some opportunity, there is also the reality that we all have less time to get work done as well. So if I need to be at a client, someone else should be telling me what I missed on a call, but the problem is they may not know what is or isn't important. So do I need this call or do I want this call? Usually one doesn't need every call, but wants to be part of them because hearing what a client or vendor says is important to business. While on phones, what do you do? When your phone rings, do you always answer it? Do you check the caller ID before answering it? Do you let all your calls go to voice mail? How do you want people to contact you? Do you even want them to? Some businesses, believe it or not, never answer their phone and prefer people to be told they are busy or in a meeting. My feeling is if it is a client, SOMEONE should be answering their call live if at all possible, by design. Never brush your client off since you need them so you can keep your business, which you want to grow, in existence. Luis Suarez of IBM has been on a mission(this is my interpretation of part of it) for the better part of 2 years now to curb his reliance on email, and thus others reliance. While using more Social Media tools and sharing methods to reduce the inbox clutter he has, in his own way, set out to prove that what is important or needed comes from the individual and how one reacts is just as important. In doing so he has not only influenced his fellow IBMers, but customers, vendors and followers of his blog, tweets as well as others in the IT world. In the end, I am happy for the day every week and some extra days a year where the only thing I need is to enjoy my holiday and being with my wife, my kids, family and friends. Without that break, one surely can get lost in the world of what you need vs what you want and impose that on one's clients as well. If you were in New York in the 80's/90's you heard or saw this commercial so often you wondered if it was true. It wasn't always. Yet you wanted to go check it out. Repetitive advertising does sink into the brain and while it may not cause you to go buy something every day, it does put itself in the front of your mind. The Lotus Knows campaign has started in the US and we are excited to be a part of it. Repetition is good and IBM is making sure that us Business Partners follow strict guidelines of usage. So campaign ideas must get reviewed first. Kills a bit of spontaneity, especially in local areas where time to publicize is key. But I respect it since Lotus Knows phrasing can get out of hand easily. But if the campaigns are as huge as they sound and expected maybe we will get that same brain feel as the Crazy Eddie ads. Like to think so. Haven't seen much yet in South Florida but we are not a huge target market. Which is a different point, shouldn't the campaign be going to places which are NOT such strong markets? You can argue corporate headquarters is where to attack, but also these people's vacation spots. So during holiday breaks when people are here hopefully we will see more of the campaign. But repetition is the key. Just like building servers, the more you do it the easier it becomes. Customers are already noticing the difference and my IBM friends tell me there is a big push from within with 8.5.1 coming out soon. So it looks good for the future and wouldn't it be nice in 2 years to look back and say IBM was insane for listening to us, but damn it paid off! In between other things today I was testing a solution for a client and ran into something which was troubling and thinking this can not be Working as Designed. Let's say in Quickr 8.2 one has attached a movie clip in one site, called moviesite and it runs in a little window on the page. Now let's say I hop over to demosite on the same Quickr server using the same browser window instance. As the admin I do not have to relogin of course. Opened the page in demosite and suddenly the movie starts running. I was at a loss for words at this implication. Could it be a browser cache issue? There were no pointers to the other site just a simple movie.mpg name. Some one with some more development knowledge on Quickr please enlighten me. After my post about it, figured I shouldn't leave you hanging. Now before you read this keep in mind we were looking for new directions, in business, and speaking to customers and clients and of course for Lotusphere. It is not meant to imply anything about anyone at all, but I am strong enough to accept it's criticisms. This was really meant in the spirit of looking forward, although I am sure some will not see it that way, which is why I decided not to pursue it. So teflon on, here we go. And you see and hear it in the work force, it makes you stop and ask, what if we have been or are writing applications for the wrong type of person? What makes it different? Surely everyone involved provided opinions or forethought as to why or how the application would look and feel and act. What does the younger generation prefer? My guess is widgets that auto update themselves and their owners and auto reply via voice for communications all from their cell phone or Star Trek universal translator Communications link. But do they even know themselves? Some may argue pink Blackberries are cute and color definitely sells some devices just like cars, although I prefer Miami Dolphin colors. However, a device which is more practical for a woman's hand size or to work with their longer nails in mind, or even have a different shape of the ear piece to avoid earrings might bring a whole new crop of business to RIM. Of course to be fair I'd like my devices to be built more rugged for all the times it falls and my kids toss my phone. But that's hardware, this is about software. Apple has made their macs UI easy to look at and work with and continue that with the iPhone and peripherals. Software should be simple, easy and do what you expect. And so when first thinking about this, I wondered what a Lotus Notes client would look like, and act like, if it was not still thought of as "needing" everything from the last 20 years. The 8.5 iNotes client comes close in this aspect although the UI is still rather formal, to me, to look at in what is a very non formal world, from 1992 when I first saw Lotus Notes. Looking back on it now, it was in some ways a more fun client in appearance than it is now or some might say it was a less serious/corporate UI. Don't get me wrong, Outlook is not here or there and the Ribbon just screams at me,"do what we tell you" because that's how i want to customize my experience. This is where I intended to go, but couldn't put it all in 75 words of an abstract. What is there now that allows one to customize the client or apps in a way that I or you want, not in the way IBM or Microsoft or even Google wants? What if I want an NFL experience to include my mail client? Just doesn't happen right now. Why can't it be as easy as Zazzle? Rebrand my UI with corporate colors, graphics, look and feel. Yes, I am aware one can do some of this, but only to a point and definitely not accomplished by your average every day employee. You don't think David Butler at Coke hasn't pondered this as well in his plans to stabilize the Coke branding and awareness? Only to be told no, sorry , it can't or doesn't do that. Why? What is wrong with the way we are designing applications? The bottom line is if people don't like it, they won't use it, unless forced to do so. When I asked someone if software should be easier to use or harder. Of course easier is the answer. But if I ask should one require a 20 page instruction manual to program a VCR for example, everyone would say no. Yet how many of these VCRs were really so simple that you didn't need the instructions? Or to put it in modern times, your home theater, how many buttons on your universal massive remote do you not only never use, but have no idea what they are there for or why? At IBM, women represent IBM's largest global constituency. Worldwide, women are approximately 28 percent of the total IBM population, 24 percent of management, 19 percent of executive management, two women are senior vice presidents, and three women are members of IBM's Board of Directors. women now comprise more than 30 percent of the total U.S. employee population. Indeed last year at Lotusphere there was a Geek 102 session which I attended and blogged about here. Clearly IBM has recognized this need and interest in a growing population of workers that can not be glossed over and in fact is encouraging them from within. And the Lotusphere team, at least last year I am not privy to LS2010 info of any sort from anywhere, wanted to pursue a line of thinking which I thought was bold, but perhaps unattainable.Still, I am interested to see if Kristin follows through with some of the ideas from last year. My intention was to pursue last year's information one step further and try to understand the expectations and audiences our customers will have that use their applications, even if they themselves may not envision it. But on a grander scale at Lotusphere 2010 input, so I submitted it as a BoF, in the end, to see what the world is thinking or if it cares at all, maybe UI is out and voice controls are in from now on. My view was the Notes client is a rather masculine looking and swiss army knife acting client. What if we changed it to be more feminine, whatever that means to each person, and simpler/stripped down yet efficient? What if that affected how we in turn built apps to run in Notes or on the web? Bad terminology? I agree. But not much came to mind for the comparison. And thus you can see why I ended up not submitting it. Although the few co-presenters I asked about it were interested in where it would lead and the feedback it would garner, if it was a session. Probably better suited for LoLA, maybe next year, if we get invited, we will bring this up. Or not. In looking to stay one step ahead, perhaps I took one step backwards, the idea was right but the wording was wrong or maybe it's just too niche or perhaps all the designers out there get it already. Although from apps I saw this week, you could have fooled me. We now continue with our regularly scheduled blog posts that do not upset anyone except Microsoft and Google folk. PS- Remember oct 9th is the last chance to submit your abstracts for LS10. Your service provider of a collaborative nature decided to lock you out or disable your account...permanently. What about your data, your emails, your photos, RFP's, lists or whatever you have stored there? Someone on Twitter that I follow was told by Facebook they will be shut out of Facebook. So what does this person potentially lose that is so important to him? Some of this may not be of interest, but how would your customers feel if they were locked out of Gmail or any other service in the Cloud because the company went under or hey opted to lock you out. Is there damages to sue for? 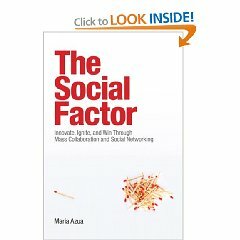 Is a social network a data centric network? If so, how do you protect your data and back it up? Something to think about before you go storing your data all over the place.